I agree with some other comments that you don’t have any Tutorials that match the hype about Wappler being All Visual development with all kinds of connections, extensions, etc. When it comes to the something other than a static website you have nothing that I can find that steps one through the Logic & functions needed for even the simplest Blog project. I thought the “Tutorial” on building a Booking website using a booking calendar would give me some hints, but all I found was some illustrations about embedding a booking calendar extension into some pages. That entry was useful for getting familiar on how to put some extensions into a page using Wappler but didn’t contain the actual Programming functionality necessary to make a working Booking website as they are commonly constructed. I was hoping to see an overview of the Functions & their logic that interfaces with a dynamic database to react to all the typical situations & conditionals needed to make a dynamic web site that really acts like an application. Creating a Blog site can not be done with Wappler by just dragging things into a page. I have lots of experience with using & integrating those when the previous developer had already defined & written code to handle all the necessary steps from A to Z. But I bought Wappler so I could move up the learning level and implement development from scratch. I would learn most with a Tutorial building a clone of common Web apps so that I can see the logic & flow of processing text, images & data. I hope some of the most experienced people I see listed can help us semi-newbie developers discover what we can do with Wappler that approximates sophisticated web apps. Thank you for reading this “whine”! It takes a little time to get to grips with Wappler - it’s not quite like anything else - but I’m sure you’ll find it worth it. Just to add to this, it really depends on what you are wanting to do in the end of the day. If you want a blog platform then there are blog platforms like WordPress, in fact I have been using DMXZone extensions for many years and more recently Wappler as my development tool of choice, yet if a client had to ask me to add a blog to their already developed Wappler website I would still install WordPress in a blog directory and use that for the Blog. If a client wanted a highly complex shopping platform I might still look at Magento or OpenCart possibly. WordPress, Magento, OpenCart are just quicker and easier for those particular jobs i need performed, i do not even like WordPress personally, but it would take weeks to create something as powerful in Wappler. If my client came to me and said they wanted a website for their hotel on the other hand I would not even hesitate and open Wappler right away to get started. The hotel website would have a combination of static as well as dynamic content and would mainly be visual with small server interactions such as for the enquiry form, maybe a mapping area, a newsletter subscription form. So Wappler is far more powerful than what is needed in all honesty. In a years time however if they asked me to then add geolocation to the website, or ask to have internal staff make minor textual alterations to their website, or link it to their MailChimp API, or make it send users a birthday greeting on their birthday, or any other imaginable idea, it can still all be done in Wappler. The next year they ask for some management interface for their website in the form of a backend dashboard, well i can just open Wappler and continue. If they want it linked to a booking engine it can also be done, and if they wanted a custom fully built booking engine it can be done, and if they wanted me to then integrate all this into their Accounting System, it can also be done. The point I am trying to make is that with many other tools, they offer the design tools, but when you have a need to add to it, you are stuck rebuilding the site half the time instead of just extending to it. Unless you are a manual coder you will not really find this level of flexibility in any other tool i have tried. I in fact am a manual coder and really use Wappler not because I do not know how to do it manually but because what takes me 3 hours manually coding, i can do in Wappler in 5 minutes most often. Maybe one of these might help a little. You are correct the documentation is lacking, unfortunately this is due to a very rapid development cycle as well as that the tools in Wappler are so robust that i might use a particular component on one project to do something simple like give the user a list of facts about Disney characters, and then the next day use the exact same tool to build the semantics for the next Russian space probe. Silly example but you get the idea. Every tool has 1000 use cases and to document what each user might want from the tool is very difficult. EDIT from my Daughter who read this on her computer: If I had done what dad told me to do 3 years ago I would have had to learn manual code, and I would have grey hair and ugly nails, Wappler is not manual code, therefore 3 years ago dad was still wrong. I actually think building a blog with Wappler is the most easiest thing you can do. So maybe @psweb or @Hyperbytes can put up a really simple tutorial with the steps as this is really often requested by beginners. Also used Joomla years ago until it was hacked every week again and again. Couldnt really fix it, cause joomla had security holes like a swiss . So in the end I migrated alot to wordpress. Played around with wordpress about 80-100 sites so far. Used woocommerce i got stuck with limited design and integration with other system. Used magento and got stuck with integration into other systems and especially that hateful design concept/templatesystem. Now I‘m learning python/django, but luckily/sadly saw wappler! Why I say sadly? Because I told my self: Now I want to learn python and django & built sites finally from scratch. Okay django isnt really „from scratch“ as you can build anything web based quickly. But anyway I‘m learning django and wappler together. For rapid productive prototyping, if I may say that, there isnt alot out there on the market, where you can build so quickly webapps! I love wappler but still want to learn the MVC concept which you dont need to take care in wappler. 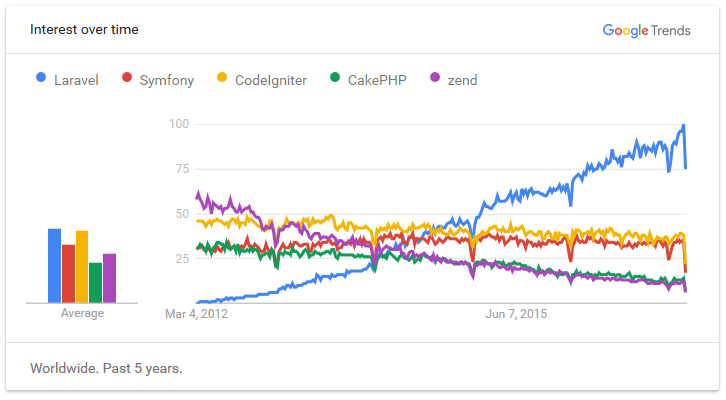 And believe me, if you take a look on php Symfony or laravel the stuff to understand and read into is massive. And after learning these frameworks, theyre just dying slowly like Codelnighter or others and will be replaced with smth better. Is dreamweaver dying? Well yes maybe and I would rather call it a metamorphose and revival! Dreamweaver is out there for many years because its easy to use and really does Wysiwig! Use that software which fits for you. There are 1000 ways of doing smth. But in each of these ways there is one constant thing which is called TIME. Building Webapps needs time and Software need to be rebuilt again, even if its only some years old. Take your time to design your database and youre on the right way. 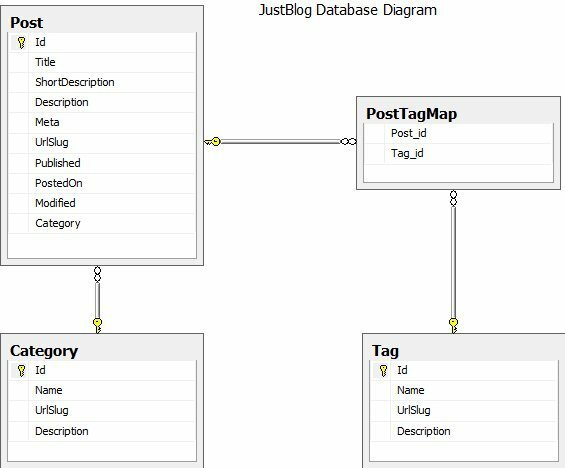 The DB modell for your blog shows your whole blog logic. You can design your blogpost tables, usertables with navicat or anything else. 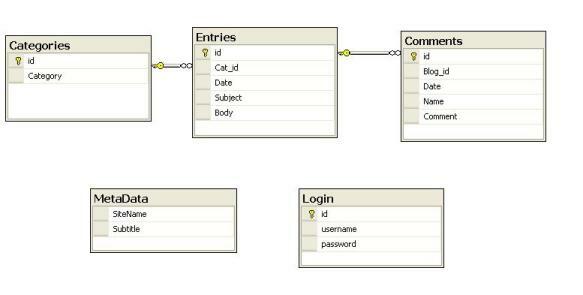 Also Mysql Maestro has a nice query designer. So after you can focus on your db modell. You can also setup some fake pages for defining your layout. Which shows design and forms and which page is called after which click. 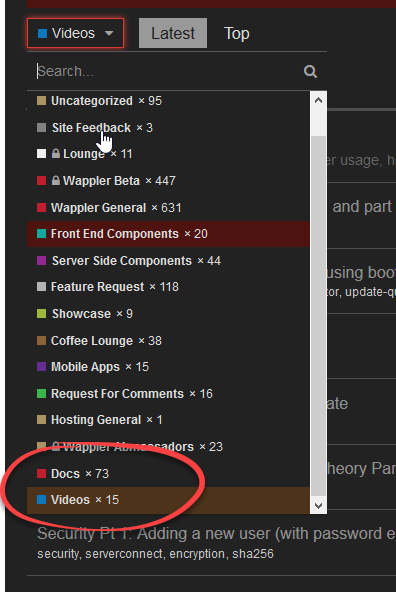 Then you can make these pages dynamcally with adding server actions. admin.php (sec. provider needed) maybe you use just simple/basic auth for starting. contains also logout, create,update and delete statements. cheers! here are two different blog db designs. As I see that one design does smth which the other hasnt. Try to merge them, then you got smth which does more than blogging! Users are missing here. 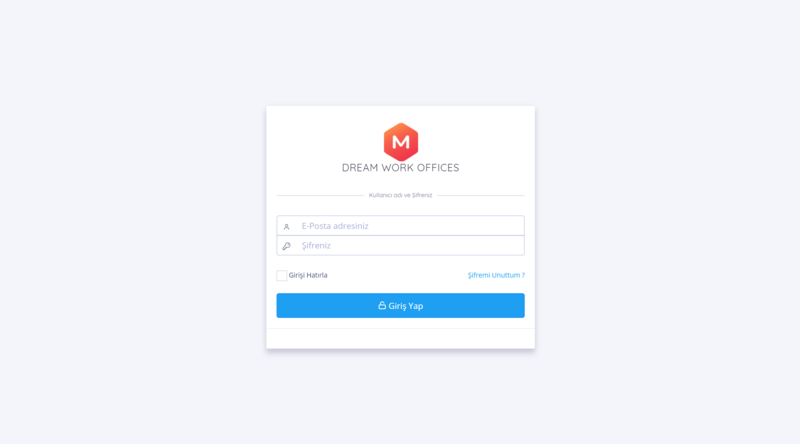 But as I told, use basic login in wappler or extend your db design. The wappler part is maybe even more easier for a blog. All CRUD (Create, Read, Update and delete statements are documented in dmx videos or here howto/wappler docs/wapplerunwrapped) The only thing which changes are your db column name. For example a shop order does the same mysql INSERT statement as a blog post. Even there is a ID and Timestamp in both variants! Only what changes are column names. One of the best posts I 've read, especially this part and the other analyzing the trends. Congrats! Would be a brilliant idea. Would give loads of brilliant videos on how to do various things. Will have a little time this evening and take a look at what I can do. Thanks for the answers & treatises! Built first websites in 1996 using database storage for a directory. All requiring separate databases aside from the WP tables for add-on Events scheduling when situations did match Wordpress plugins. This also included Real Estate sites that had back-end Real Estate Managers accounts. Also have built many databased Field Personnel Reporting websites . I have used also Dreamweaver for years, custom WordPress based proprietary commercial software, PHPRunner, etc. Teodor’s tutorial does NOT build a blog. It DESCRIBES BUILDING a Blog. I was asking if Wappler is not the perfect platform to actually do what thousands of programmers FIRST-- programming is their biggest skill – DO when they build a Product for a special purpose. BUILD or TUTORIALIZE BEST PRACTICES for 2018-2019 Database dependent software. Nobody has to educate me on what one can FIND or Google-ize in terms of Software development. Why for the next five years should I be content with going all over the internet to see Best Practices with some other IDE software ? The fact that you can skin a cat 99 ways doesn’t mean those are all 99 really GREAT ways to create brilliant custom software. I read constantly and for the past 2 years I am looking at seemingly a new app framework & stack every week. My main reason for getting Wappler was to FINALLY SETTLE down into one software development tool that I can use on both Windows AND Mac and that can also serve as my Mobile APP tool. A Tutorial or three on COMMON databased applications that I then use Wappler for to convert to PWA’S for instance, would be Time-Saving. I know I’m not the only one who is buying into Wappler Pro to get up and running with someone smarter than me showing off their skills on how they PROCESS internal functions with the crispest, fastest responding PHP, JS, MySQL, CSS coding of recent trends. Lucky man to have a Daughter in Web Programming & Design! If this is urgent problem maybe @Teodor or @patrick can help. Where did dmx-parrse come from, sorry I have never seen that one or heard of it, just wondering. Will dmx-parse take any database query and return all the data back in json format? Someone else’s brain & experience pointing to the best or quickest way to provide the connections that process one step to the next! Thanks @NewMedia, unfortunately or fortunately depending on how you look at it, Wappler has changed so extensively from the making of those videos that I honestly think I am going to just move on to a new training set of a project I am almost finished with currently. The new project will also be easier and better with the way Wappler has arranged their toolsets.